Today it was Star Wednesday at the European Open. Not only the tennis stars, but also the children shined in the Lotto Arena, on their Kids Day. The day could not have started more surprisingly for our ball boys and girls. In the ball kids lounge they were totally surprised with a visit by none other than Diego Schwartzman (ATP-17). The Argentinean took the time to have a chat with the children and had a great time taking pictures with them. Around 15h the famous Kids Day took place. A thousand children took part in various sports activities and sessions organised by Tennis Vlaanderen. Of course they descended afterwards to the stands where they took place among the many other spectators. 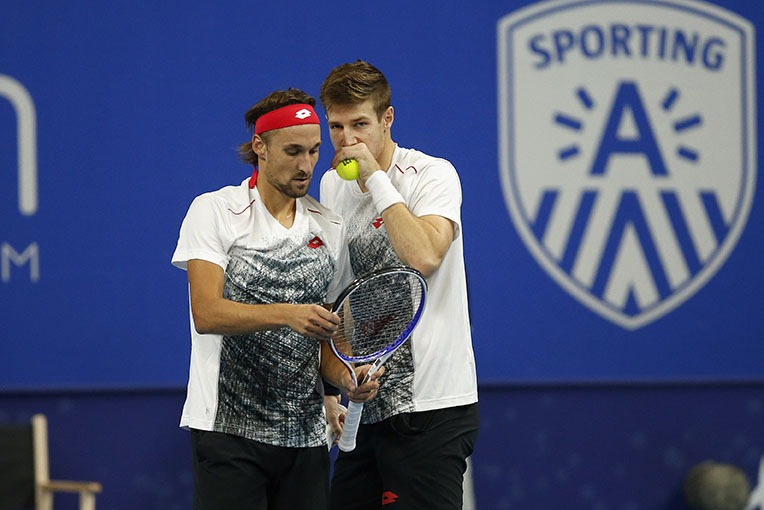 The Belgian Davis Cup doubles pair Ruben Bemelmans (ATP D-377) and Joris De Loore (ATP D-283) was already inspired by the many young faces in the audience. After a mediocre first set against double specialists Marcelo Demoliner (ATP D-67) and Santiago Gonzalez (ATP D-54), they treated their supporters in set two to a few good points. Towards the end, however, some details were fatal: it became 6-2 and 7-6 (3). With the loss of Bemeloore all Belgians are out of the European Open. But there is no shortage of top players: Gilles Simon (ATP-32), Richard Gasquet (ATP-28), Jan-Lennard Struff (ATP-58) and Vasek Pospisil (ATP-79) qualified for the quarterfinals today. One thing is certain: on Terrific Thursday (tomorrow) the Lotto Arena will once again shake to its foundations for the French clash between Jo-Wilfried Tsonga (ATP-75) and Gaël Monfils (ATP-38). In addition, top seeds Kyle Edmund (ATP-15) and Schwartzman also come into action (for the first time). Reasons enough to experience the European Open again tomorrow live and up close! Quickly click here and order your tickets now!